First premièring at Sundance earlier this year to critical acclaim, Cyrus is set to open in US theatres on June the 18th. The UK is going to have to wait a little longer though with the film set to receive a UK theatrical release in the Autumn. 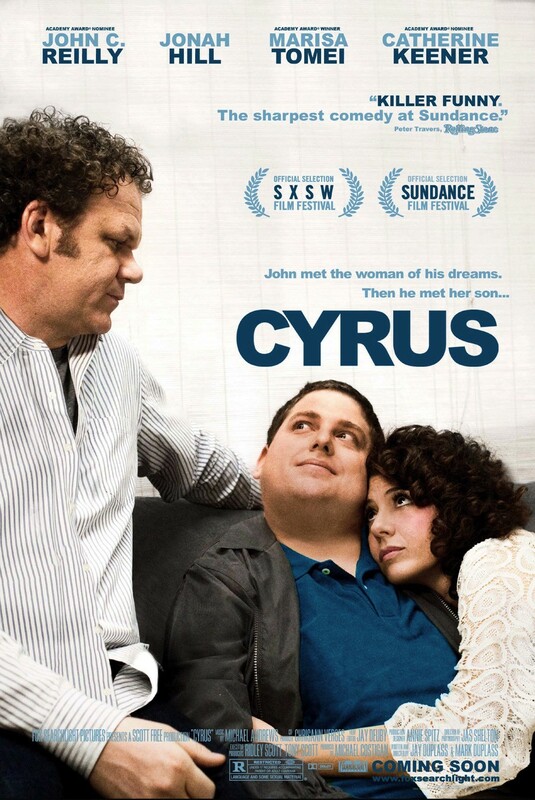 Cyrus is the latest from the ‘Mumblecore’ duo Mark and Jay Duplass and stars John C. Reilly, Jonah Hill, Marisa Tomei and Catherine Keener. I recently saw the Duplass Brothers’ film Baghead and was quite impressed by the pair’s storytelling talents and I am intrigued to see what they do with a bigger budget and a cast of more well known actors and actresses. There has already been a US trailer for the film but we now have a UK trailer too and you can check it out below. With John’s social life at a standstill and his ex—wife about to get remarried, a down on his luck divorcee finally meets the woman of his dreams, only to discover she has another man in her life — her son. Written and directed by Jay and Mark Duplass, the iconoclastic filmmaking team behind Sundance Film Festival favorite THE PUFFY CHAIR, CYRUS takes an insightful and funny look at love and family in contemporary Los Angeles.